Nestorion Hotel places you within 3 miles (5 km) of popular attractions like Acropolis Museum and Alimos Marina. This 30-room hotel has conveniences like a bar/lounge, free in-room WiFi, and free self parking. For your convenience, a buffet breakfast is served each morning for a fee. Quench your thirst with a drink at the bar/lounge. 27-inch a flat-screen TV are available for entertainment, and guests can stay connected with free WiFi. Other standard amenities include a balcony, a fridge and a safe. 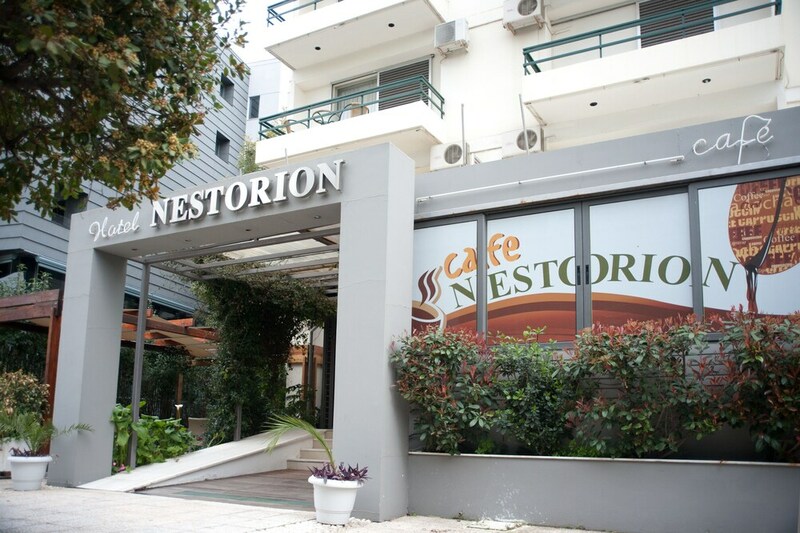 Guests of Nestorion Hotel enjoy a rooftop terrace, free WiFi in public areas, and a meeting room. You can take advantage of free parking, along with an area shuttle for a fee. Helpful staff is there to provide luggage storage, as well as offer insight about the area. Additional amenities include a 24-hour business centre, reception hall, and TV in a common area. Public areas are equipped with complimentary wireless Internet access. This hotel offers access to a 24-hour business centre and a meeting room. A bar/lounge is on site where guests can unwind with a drink. This business-friendly hotel also offers a rooftop terrace, a television in common area and a lift. Complimentary self-parking is available on-site. Nestorion Hotel has designated areas for smoking.